Shampoo is a basic ‘necessity’ in every American home, though people don’t generally give much thought as to what kind of ingredients are in it. Shampoo is a basic ‘necessity’ in every American home, though people don’t generally give much thought as to what kind of ingredients are in it. We know that many foods are loaded with toxic ingredients, but what you may not know is that shampoo and most of the other personal products we use everyday are also full of the bad stuff. What’s more, they are not regulated by the FDA. This means manufacturers can put in anything they want to, including cheap toxic chemicals with highly harmful effects in the body. If you are experiencing nagging health problems you can’t pin down, the culprit may be your shampoo or other personal care products. 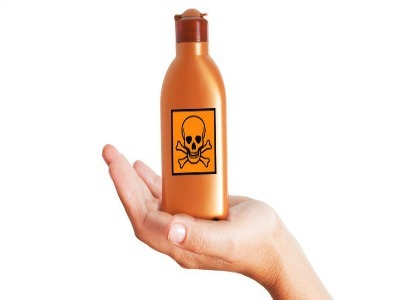 Ingredients in shampoo can cause flaky skin, persistent itching and irritation, wheezing and other asthma symptoms, sinusitis, allergies, and could even contribute to cancer. And because these are not ingredients your body can easily recognize, these chemicals wreak havoc with the immune system, leading to frequent colds, viruses, and even fungal infections. SLS is an inexpensive detergent and surfactant that is widely used in shampoo, body wash, shaving cream, toothpaste, and other products. The American College of Toxicology found that SLS easily penetrates the skin and can circulate in the body for up to five days, leaving residues in the heart, liver, lungs, and brain. SLS can strip moisture and oils from the hair and skin, causing rashes, hair loss, and a condition similar to dandruff. The Journal of Investigative Dermatology found that SLS produces skin and hair damage, including cracking, and severe inflammation of the derma-epidermis tissue. Another older study found that SLS damages DNA in cells. Also able to irritate skin and eyes, SLES is a close relative of SLS. But the larger issue here is that it is frequently contaminated by 1,4 dioxane, a byproduct of the ethylation oxide used to make harsh petrolum-based ingredients more gentle. It is a known carcinogen and suspected of causing kidney damage. 1,4 Dioxane will not be found in the list of ingredients on your shampoo bottle because it is a byproduct and not part of the formulation. Dioxane has a long life in the body, primarily because the liver cannot metabolize it effectively. These are a group of chemical preservatives used in shampoo and other personal care products. Even at very low doses, parabens have been linked to reproductive damage and organ toxicity. Further, an assessment of the breast tissue of 40 women who had undergone mastectomy after a diagnosis of breast cancer found one or more of the parabens in 99% of the samples, suggesting a link between these chemicals and breast cancer. All five members of the paraben group were found in 60% of the samples. Parabens have similar properties as estrogen, and have previously been linked with cancers fueled by excessive unbalanced estrogen. It sounds so nice and romantic, but the reality is that fragrance used in shampoo and other personal care products comes from the more than 3100 chemicals in the arsenal of the fragrance industry. These are highly toxic and can result in liver toxicity, damage to the central nervous system, allergies, brain fog, obesity, asthma, headache, contact dermatitis, organ toxicity, and cancer. They are made from petrochemicals and phthalates, and have been linked to learning disabilities and other developmental abnormalities in children whose mothers had high levels in their bodies during gestation. Byproducts from the production of fragrances include dioxin and formaldehyde. Seeing the term ‘fragrance’ listed on the label doesn’t tell the whole story. The average fragrance product tested by the Environmental Working Group (EWG), a consumer watchdog group, was a cocktail of 14 secret chemicals. These don’t have to be disclosed because they are considered trade secrets. EWG’s Skin Deep Cosmetics Database lists 11,000 products containing fragrance chemicals and rates them as highly hazardous.